E-learning is the integration of digital technologies and media into teaching and learning, in its broadest sense. This can be done in schools, at higher education institutions, in adult education, in developing countries, etc… My expertise includes project management, instructional and media design, media development and evaluation, all blended with a strong experience as online distance instructor with EUROCOL (Italy-Colombia) and the UOC (Open University of Catalunya, active all over Spain and in Latin America). What is showcased here is just a sample of visible products. Course designs, online teaching achievements and teacher training are of course not so visible… (but check out my publications to get a glimpse of it!). Product. The first-even online courses at Dipartimento formazione e apprendimento of SUPSI. My task. Convincing the administration that it was worth the candle, designing the course, implementing it with my colleagues (including shooting and editing videos, and implementing both synchronous and asynchronous activities). Students evaluations confirmed this was a good idea, as it allowed them with more flexible schedule and less hours in class (i.e., less travel and a smoother integration with private and family life of adult students). Product. The online learning platform of the Università della Svizzera italiana and of the University of Applied Sciences of Southern Switzerland, powered with moodle. Product. 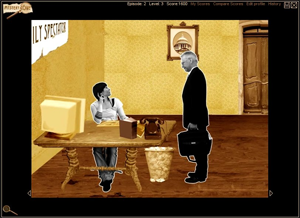 A game-based online game for learning English as a second language in higher education, designed with specific attention to gender issues. My task. Requirement analysis, instructional design, implementation supervision, coordinatio with graphic artists, project management. Product. 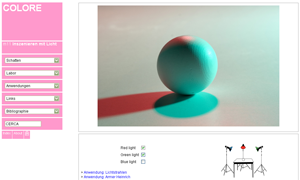 An online collection of digital resources for teaching and learning about color, light and the arts. My task. Requirement analysis, instructional design, implementation and media production, project management. Product. An online learning unit on Child Development, powered with the ADLEGO adaptive engine. The system profiles students and provided adaptive guidance, link annotation and adaptive texts for enhancing learning. My task. Requirement analysis, instructional design, implementation and media production, evaluation. Client. Work done for the NewMinE Lab.